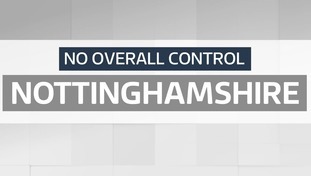 The Conservative Party is now the largest group at Nottinghamshire County Council, winning 31 of 66 seats. This is short of the 34 seats required for a majority, so the County Council remains in no overall control. The total number of County Council seats has reduced from 67 to 66, following a boundary review by the Local Government Boundary Commission for England. The review has meant that most of the 56 divisions have changed in name, size or both.